AHDB has not decided if it wants to take part in the campaign. 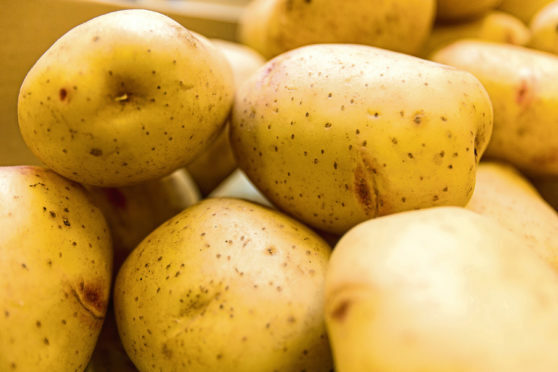 A global campaign due to launch next year will harness the marketing budgets of multinational companies and promotional agencies around the world in a bid to halt the downward trend in potato consumption. Imagine a World Without Potatoes, an industry-led campaign run by the International Potato Centre (IPC) in Peru, has already attracted the support of potato giants McCain Foods and Pepsico together with Irish, Canadian, Australian, Chinese, Russian, Norwegian and other potato-industry partners. However AHDB Potatoes, the UK levy body charged with promoting the product, is not convinced it wants to contribute the $5,000 marketing fee and is still “reflecting” on whether it is a message it wants to use. The campaign’s marketing director, Marc de Beaufort, said potato consumption was falling in every western nation. “People have fallen out of love with potatoes,” he said. “They go into a supermarket and admire the lovely strawberries or asparagus, then they go past the potatoes aisle and it doesn’t enlist emotion. “We take them for granted, and in a way it’s like we’ve been married too long and have lost the passion. Mr de Beaufort said the potato industry was insular in outlook and different groups worried about their individual markets, but the most effective and powerful way to get the message across was to get international stakeholders to use the same message. “They don’t need to spend much money, they just need to adapt their campaigns which they’re spending money on anyway to include the message.